Since its inception in 2010, Founder and CEO Sarah Kauss has made it her mission to rid the world of plastic bottles by creating covetable hydration accessories that are as stylish as they are hard-working, and that give back to communities in need. 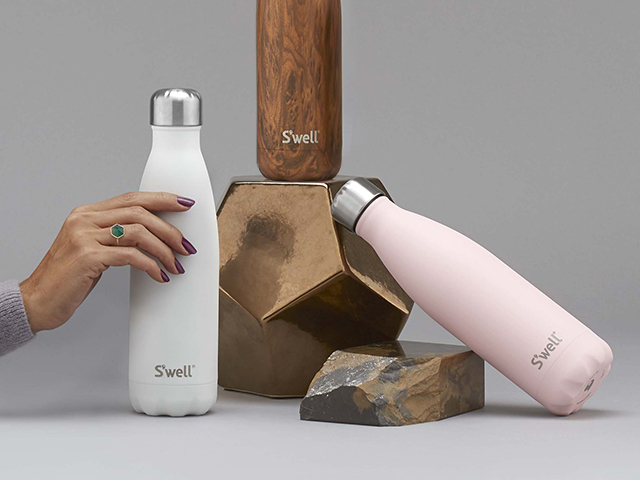 S'well Bottle's customers have responded emphatically to their products, gravitating toward their on-trend look and smart design—in particular their triple-walled insulation, which keeps beverages cold for up to 24 hours and hot for up to 12. With their countless colors and unique patterns, exciting collaborations and limited-edition designs, customers can always expect something new from S’well each season, and their consistent innovation allows for even more ways to hydrate on the go, entertain in style and—most importantly—further their mission to consume less single-use plastic.